Lauren Vazquez is the Fired Up Lawyer. She has worked for nearly a decade to end cannabis prohibition and advance alternatives to the failed war on drugs. Her law practice focuses on the medical cannabis community providing advice and legal services to advocacy groups, collectives, cooperatives, vendors, and cultivators. Lauren is currently helping to organize patients and the community to support Oaksterdam University and Harborside Health Center during the recent federal crackdown in California. She is also working to end cannabis prohibition for all people not just patients as a volunteer with the Coalition for Cannabis Policy Reform, the organization leading the effort for legalization in California. Lauren has a long and successful history of promoting cannabis law reform and other social justice issues. She began her career in 2004 by restarting the UC Santa Barbara chapter of the National Organization for the Reform of Marijuana Laws (NORML). 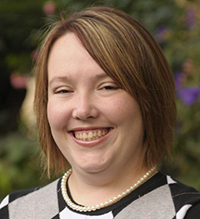 In recognition of her achievements with the chapter, NORML named Lauren 2006 Student Activist of the Year. Lauren graduated Santa Clara University’s School of Law in 2009 and shortly thereafter helped found the Silicon Valley Chapter of Americans for Safe Access (ASA). She organized patients, community members, and industry leaders to build support for safe access to medical cannabis for the two million people living in the South Bay. During her tenure San Jose went from one storefront collective to a thriving cannabis industry estimated at $50 million annually.